At Werlinich Asset Management, we stress to our clients the importance of being knowledgeable investors. We encourage everyone to be aware of what is happening with their securities. 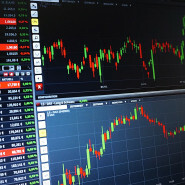 The easiest way to monitor your investments is to use the Internet, which provides a wealth of timely information on all public companies, the stock market and the economy. Below we have provided links to the investor relations areas of WAM’s top equity and ETF holdings as of March 31, 2019. While this list does not encompass every security held by WAM for our clients, it does cover most of our significant positions. Through these links, you will be able to read press releases, learn about products, delve into financial statements, and in some cases, listen to quarterly earnings webcasts and investor presentations. Please use this area to enhance your knowledge of the securities that you own, and the stock market overall. The Top Holdings presented above represents client holdings as of the end of the indicated period. Individual client portfolios and investments may vary based upon specific guidelines or instructions. Top Holdings are subject to change at any time based upon the needs of the clients and market and economic conditions, among other reasons. It should not be assumed that recommendations made in the future will be profitable or will equal the performace of the investments listed above. Werlinich Asset Management, LLC will provide a list of all client investment recommendations for the prior year period upon request. Past performance is no guarantee of future results. If you would like more information on these, or any other investments, please contact us today at 914-481-5888.